Create your very own Video Portal by importing 100â€™s of youtube videos with one click of a button! With a clean modern design your visitors will love. 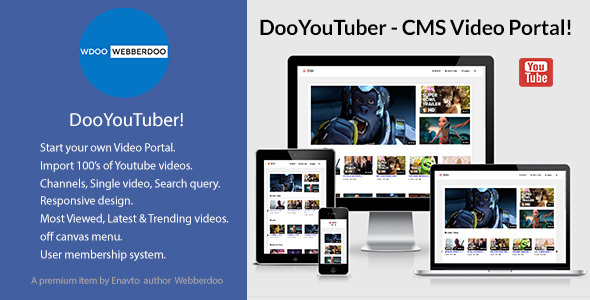 DooYouTuber comes with a user management system were your visitors can sign up, login and submit a youtube video directly from their profile page and like videos that they visit on the site which will automatically be added to thier profile page.